As you are aware by now, the changed behaviour of sleepers observed by the Sisters of Eve has alot of organisations & groups in turmoil. The recent Inner Circle Wormhole Summit reinforces that the recent Sleeper changes has various official groups in a crisis, seeking for answers they cannot find. A part of this changed behaviour was uncovered by capsuleers, as they stumbled on Sleeper sites in known space! The discoveries made so far do paint a disturbing image. Sleepers use cloaking technologies to keep their facilities hidden, as they study us & our technology, as evident by the modules found inside these sites. But they are not merely content with studying us & collect examples of our technology, they even analyzed & advanced our high-tech systems, as shown by the polarized variants of our tech 2 modules! But recently, images of unknown Sleeper ships have leaked on GalNet! As you can see above, these Sleepers are very different from the usual Sleeper Drones one encounters in wormhole space. So far, nothing is known about these strange ships and utmost caution is advised in any encounter involving these unidentified ships. However, any information you can acquire about these new Sleeper ships is very welcome! You can contact Jandice Ymladris by mail or publish your findings on CCP forums to share your knowledge! But all the recent commotion around Sleepers, Wormholes, Sisters and of course the strange messages of Dr Hilen Tukoss has given rise to a wide range of speculations. Currently, two capsuleers have made a very lengthy but detailed analysis & hypothesis of what might be going on. I'll provide a link to their article & a short summary. The Jovian archivist Uriel Paradisi Anteovnuecci provides an interesting hypothesis of how all the recent happenings concerning wormholes & sleepers tie in together with events & occurrences in the past. The centerpoint of his conspiracy theory is that Empress Jamyl Sarum is possessed by a being known as 'The Other' that seeks to substitute our reality with it's own. In order to achieve this, it has to wipe out both the Jovians & Sleepers as they are the only ones with the knowledge or power to stop it. His idea does paint a very dark image, namely that we capsuleers are being played & manipulated to do the bidding of a powerful but malign shadowfigure, in order to remove its enemies. While it might sound far-fetched, it is known that appealing to our destructive & greedy nature does offer great results without much questions asked, as seen in the Provist Manhunt. While it looks like your average crackpot conspiracy theory, he does bring up several interesting tidbits that we shouldn't ignore. Various replies later on also contribute by bringing up good points & thoughts. 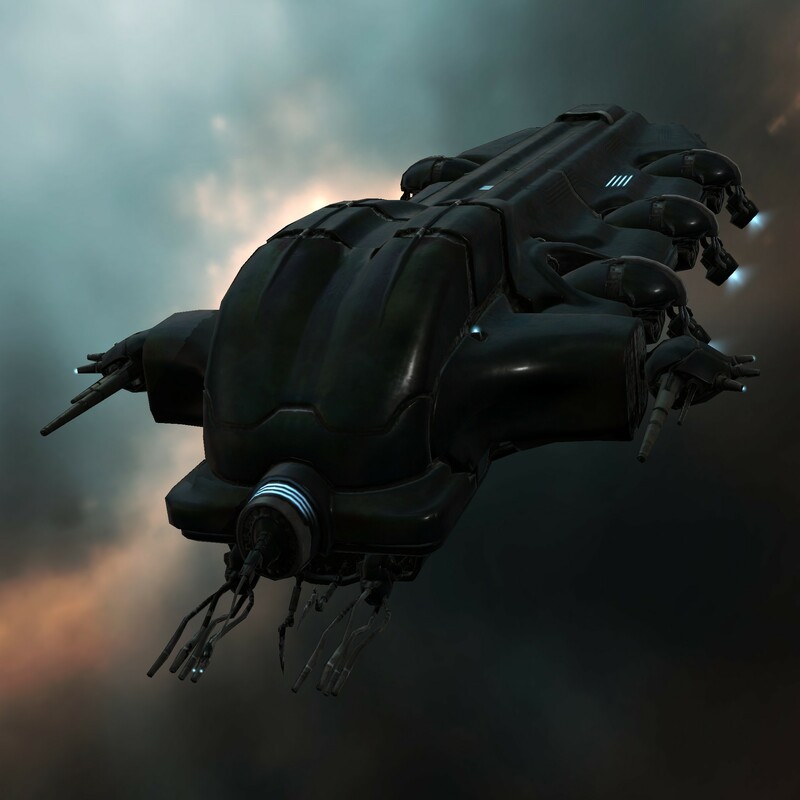 Privateer Rhavas offers a great indepth analysis of the Sister of Eve ship builders & the various corporations & factions they cooperated with to make them happen. On the surface it all seems fine, but when you dig deeper, a more sinister agenda appears! Especially once you consider that many of the corporations that worked with the Sisters to build these ships are direct competitors and often can't stand one another! His hypothesis goes deeper on why these supposed enemies collaborate to built ships for the Sisters. The core of his theory is that they do it to be able to understand & face a common enemy together. he does leave two options open on who this 'common' enemy might be. One is the Sleepers, supported by the reasoning that the Sister ships are built for wormhole exploration and recent events has caused the participating corporations to come together in the most recent Inner Circle Summit. The other common enemy might be us, capsuleers. Once again, he supports this theory with various links to news articles, displaying how great a threat capsuleers have become as they attempt their own research & construction. All in all, I urge you to explore Privateer Rhavas' publications as he has written several excellent articles with very interesting theories that could have far-reaching consequences if even one holds a shimmer of truth! The above two capsuleers, Jovian archivist Uriel Paradisi Anteovnuecci & Privateer Rhavas both offer deeper insights in various events, old & new related to Wormholes & Sleepers. Some of their ideas & theories might sound far-fetched, but they do build a good cause due to the various sources of information they link towards & provide an interesting explanation to tie them together. Update, additional hypothetical analysis for recent images & broadcasts released on GalNet. Two recent images have gathered alot of attention from the Conspiracy crowd. One is the New Sleeper ship image, the other supposedly shows a cloaked structure, but despite continuous image enhancing, not much has been revealed. When looking at both images, the bundle of wires & cables coming out the sleeper drone is very similar to the connection between the ship & 'head' of the 'new' Sleeper ship. At the moment, the significance of this observation is unknown, it does seem to imply that the Sleeper Drones we encounter today are unfinished, coming without the 'head'. As we have no idea on what the 'head' does, it's unknown what kind of impact this has on behaviour between the Sleeper Drones & Sleeper Ships. The second image is more far fetched. Claims are that it's an image hiding a cloaked installation. Yet alot of capsuleers have run this image through various filters & enhancers, but not much has been found. The mysterious image, some claim it shows a cloaked installation. Wile alot of capsuleers have occupied themselves with it, Dust Mercenaries also got involved, their image enhancing skills did reveal it shared similarities with an installation they know. See the thread: Weird Eden Happenings, the opening post has all the info about the image analysis. What the concealed structure is, remains a mystery however. Over 29.000 refugees join the Aurora Arcology! Aurora Arcology welcomes over 24.000 immigrants! Pirates venture into Wormhole systems!